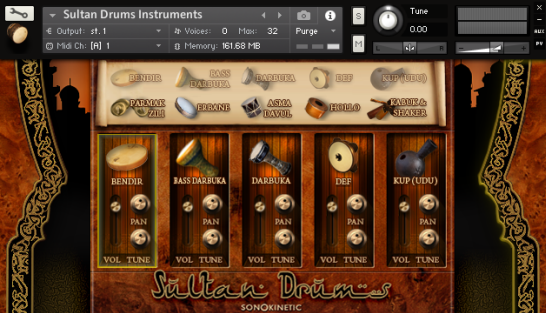 Sultan Drums Middle Eastern Percussion - collection covers a wide variety of Middle Eastern drums and percussion instruments. These sounds are instantly teleport you to the nomadic life of the desert, or to the heart of the city on the banks of the Nile or the Bosphorus. 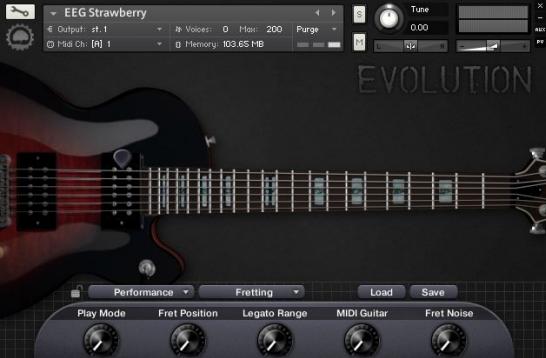 Evolution™ Electric Guitar - Strawberry позволяет музыкантам, играющим на клавишных инструментах к легко, и быстро создать подлинные звучащие части электрогитары без потребности редактировать MIDI. Orange Tree Samples - Evolution Electric Guitar Strawberry - очень качественная электрогитара, библиотека разделена на две части - ведущая и ритм гитара. Precisionsound Lyra Samples - Библиотека звуков лиры для плейеров KONTAKT, HALion & EXS24 каждая нота записана до 7 слоев громкости. Качество: 24bit Частота 44.1 kHz Каналы stereo. The beautiful sound of the Lyra has been captured in up to seven velocity layers. The total amount of samples in this SampleSet is 302. All samples have been seamlessly looped when necessary and all notes have 3 velocity layers of release samples for maximum realism. Two 24bit HALion / Kontakt programs, with and without release samples. Two 16bit SoundFont program with the release samples separated in its own program. Kawai K1 Synth Sounds - банк сэмплов легендарного синтезатора Kawai K1 в формате KONTAKT от NATIVE INSTRUMENTS. 245 mb.